You heard me explain before how you can’t achieve superior customer experience without focusing on employee experience as well. 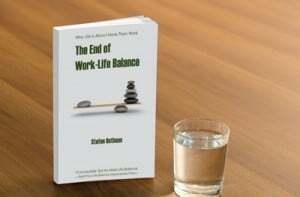 But we have not yet looked at how to measure employee satisfaction in an organization. 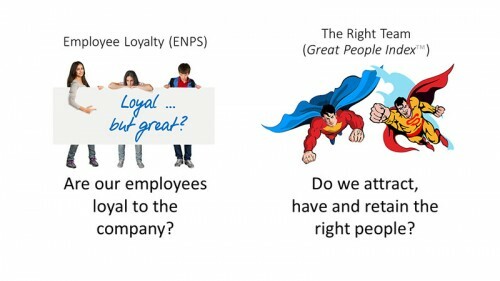 The widely used Employee Net Promoter Score (eNPS) is pretty much useless as a metric when it comes to measuring your ability to attract and retain the right team. While the Net Promoter Score is great for use in customer experience, it is too easy to manipulate in the employee space! 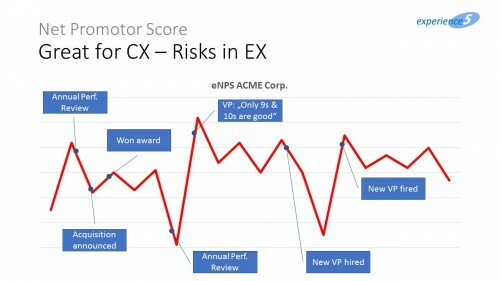 My main concerns against the use of NPS in the employee space are the many ways in which you can manipulate your audience as well as the ubiquitous distorting influences which let your NPS fluctuate erroneously over time. Different from the use of Net Promoter Score in the customer space, it is very easy to manipulate your employee audience when measuring employee Net Promoter Score. I have seen division leads inform the teams in all hands meetings that “only tens and nines a good scores” and in the next eNPS survey that particular division’s score jumped up 40 points. A second reason why I dislike the Net Promoter Score in measuring employee loyalty is that there are plenty of possible unrelated influences that can spoil your Net Promoter Score without you knowing it. One year, for example, you might run your NPS survey prior to the annual performance appraisals. The next year it might happen thereafter. All of a sudden, the disappointment of merit increases having happened or not happened will impact your eNPS to an unjustified degree. Other examples of influences strongly changing your eNPS scores without fundamental reasons can be the announcements of acquisitions, the appointment of new leadership or the dismissal of key personnel that has been either very popular or very unpopular. Figure 2 summarizes the examples above and how they let the eNPS fluctuate over time. So with an audience as easy to manipulate as your employees, it doesn’t seem wise to measure only one metric in order to conclude the loyalty and fit of your team. Instead, I suggest the Great People Index (GPI) as a collection of employee related KPIs to get a pulse check on how loyal your team is and to what degree you are capable of attracting and retaining the right talent in you organization. 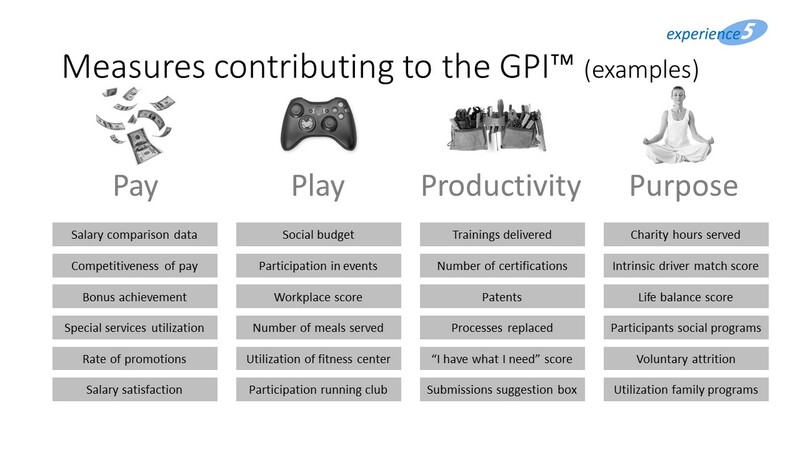 Figure 3: eNPS vs. GPI – an important difference! Because, let’s face it, with eNPS we only measure how loyal the existing team in your organization is towards your firm. That is completely independent of how desirable it is to actually retain such talent. Instead, the Great People Index™ allows you to measure your ability to form the perfect team that supports your company vision. The Great People Index™ is an index based metric (as the name indicates), which is made up of several KPIs that already exist in your organization. Figure 4 gives you a few examples – categorized into the 4P of employee experience – for which measurements might already exist in your organization and can contribute to forming the Great People Index™ in your company. The advantage of the Great People Index™ is that you can start with what you have and add additional KPIs to the index as your measurement infrastructure becomes more sophisticated. As such, the GPI is a very economical way of measuring employee engagement. 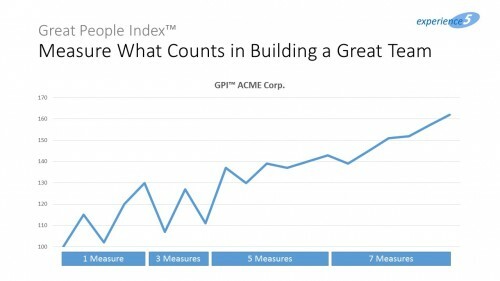 Figure 5 shows you an example of how the GPI in an organization is growing from one measurement forming the index two several different KPIs contributing to it. In period 1 you use what you already have in your organization, in this example the bonus achievement. You will then use your current reading of this KPI and index it to 100. Hence, in period 1 your GPI is 100. In period 2 you do two things: Firstly, you collect your second reading of the measurement that you already use (the bonus achievement in this example). As you can see the measurement has gone up, and (indexed) it now reads 108. Secondly, you are now ready to add your second measurement. In this example it is the workspace score from your annual employee survey. 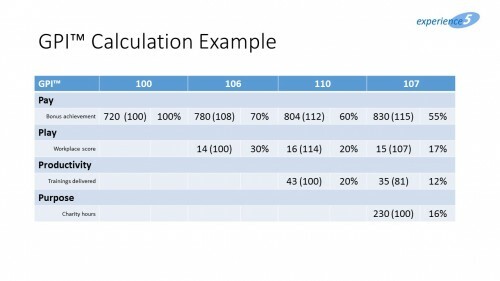 Again, since this is the first period in which you measure this KPI, your current reading is indexed to 100 and then it is weighed with a tool specific weighing factor (30% in this example) with which this second metric contributes to your GPI in the second period. This scheme continues in the third and fourth period. 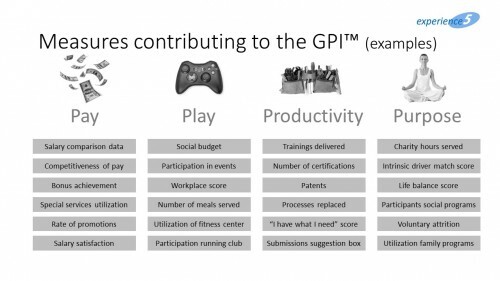 As a third (trainings delivered) and fourth measurement (charity hours served) are being added to the GPI, the individual weighing factors change and give each of the four KPIs and individual contribution to the GPI. The advantage is obvious. Not only does the GPI become more and more stable since it will fluctuate less as the number of contributing KPIs increases (see figure 6). In addition to that, the historical readings of the KPI will remain intact and the company retains its ability to compare results over time and see to which degree it is improving its ability to attract the right talent and retain it within the company. 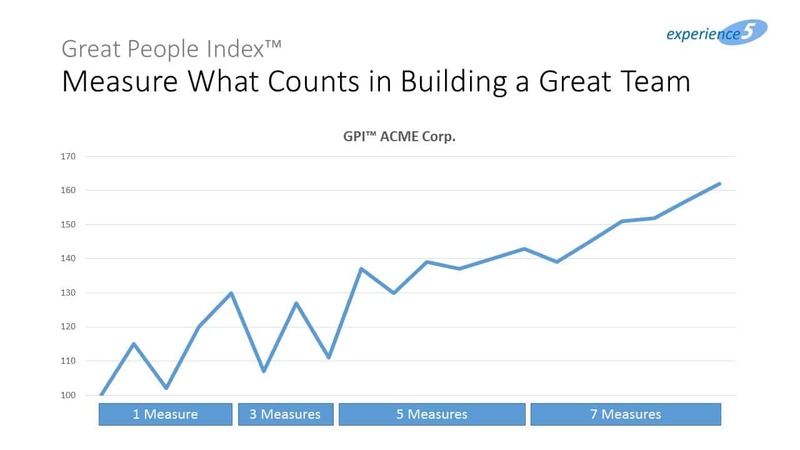 This historic comparability of GPI results, despite the fact that you might be adding KPIs as you move on, is the key advantage of GPI over every other measurement method you can use to measure employee engagement. Traditional measurement systems will lose historic comparability whenever you change the measurement method, the KPI, or any other parameter of your measurement system. That’s it for today! Feel free to contact us if you’re interested in introducing the Great People Index™ to your organization. Will be happy to explain the method and help you introduce this unique and efficient measurement structure into your organization. Start now to leverage employee experience for creating a sustainably stellar customer experience. experience5 is a consultancy for customer and employee experience as well as value‐based leadership. The firm supports clients in North America and EMEA on their journey through the evolution of Customer Experience.